The National Capital Wrestling Club (NCWC) is a volunteer coached and run amateur wrestling club that provides training and development opportunities for male and female wrestlers of all ages in the National Capital Region. Our doors are open to all wrestlers or aspiring wrestlers across Eastern Ontario. Our goal is to provide the best possible development opportunities for Ottawa-area wrestlers. We augment the junior high and high school programs in providing year-round development for our athletes. 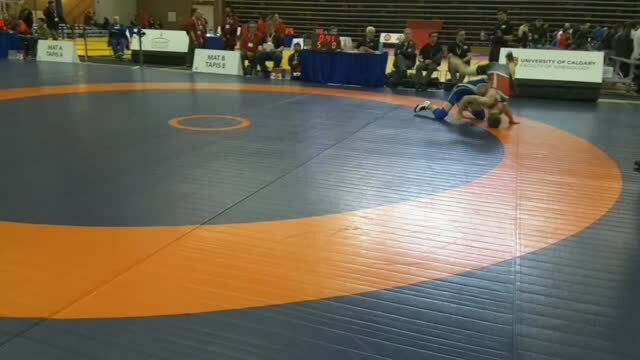 Check out some of the NCWC wrestlers in action! The last few seasons have been the best in our history in terms of practice attendance and tournament results, and we are excited for the club to continue to grow in the coming years. While several of our athletes have become national champions, we welcome wrestlers of all abilities. Please use this site to learn more about what we offer, and get in touch through the Contact Us page if you're interested in becoming part of our community. Check out our calendar for upcoming events, and our most recent news page for tournament results and other announcements!